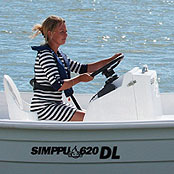 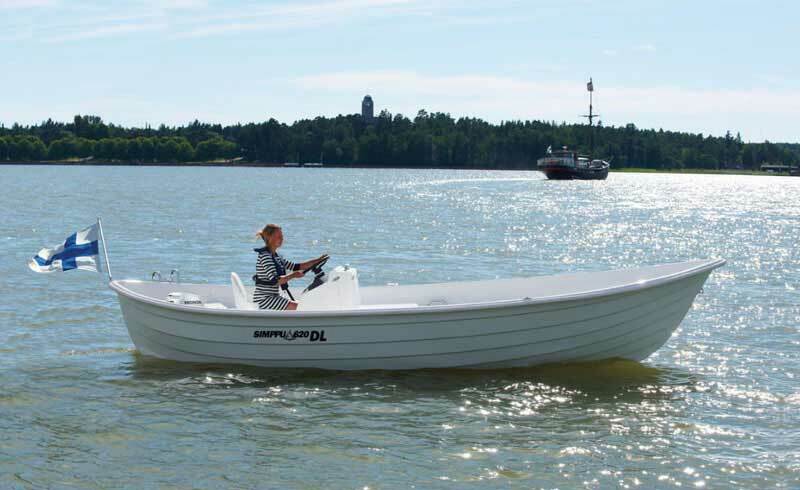 Simppu 620 DL is equipped with a steering console. 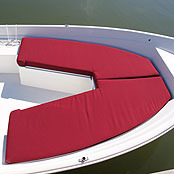 The steering console hides a big storage locker and the front part is formed as a seat. 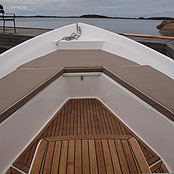 The helmsman's seat is adjustable up/down and forward/back. 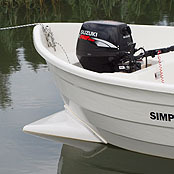 Engine recommendation from 6 hp to 20 hp with long rig.